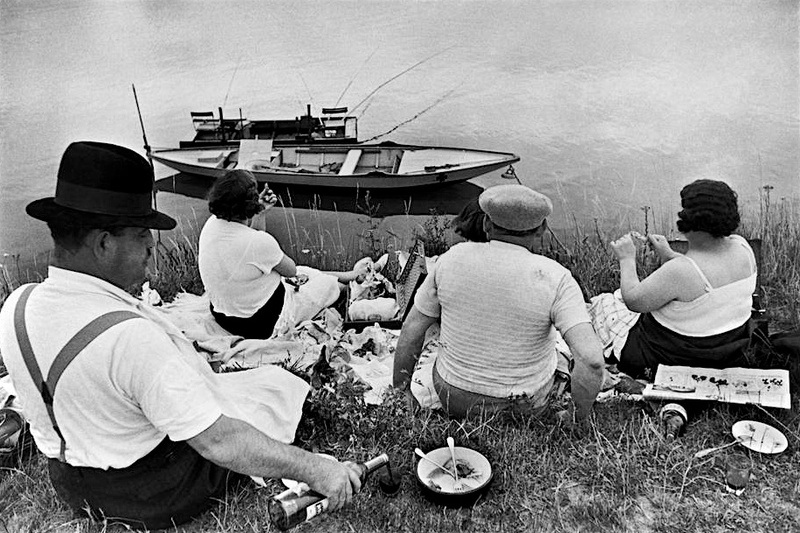 Welcome to Le Couperet HCB, a website about Henri Cartier-Bresson, the legendary 20th century pioneer of photojournalism. The title refers to one of Cartier-Bresson's most famous quotes, on how photography acts like a knife that isolates an event from the flow of reality. Hover over the menu bar to discover more quotes and pictures from the French master. Or start reading straight away on how it all started in Cartier-Bresson's early life. Looking for something specific? Use the custom search field. Le Couperet HCB arose in the context of an aesthetics class at the Onze-Lieve-Vrouwecollege in Ostend (Belgium). Soon it became the most complete Dutch online resource on Cartier-Bresson's life and work. Up until today the site received quite a few updates, the largest one being the 2012 translation in English to better suit the numerous international visitors. Below you can find an overview of the latest changes. Update 9-1-2014: Due to increasing technical limitations the site had to be moved to a new host. Server response times might be a weeny bit slower but that's all. But there's some good news too: a more modern menu was implemented and the stylesheets have been made responsive. Surfing the website on a mobile device is now a pleasant experience. Combined with the new page names this should help Le Couperet and Google to become beter friends. Finally, scripts and recurring elements are now loaded from a core PHP-file (to ease future updates) and helper images have disappeared thanks to the use of new CSS3-properties. If you stumble upon a bug, please report it via the contact page! Update 11-4-2012: The English translation of the page on The Decisive Moment was tweaked. Also, some worthwhile articles were linked, for instance about the Dessau photo. Update 8-26-2012: Martine Franck (°1938), Cartier-Bresson's second wife and a respected member of Magnum, passed away on August 16. The rather phenomenal website Iconic Photos — photo critiques seldomly reach this level! — published an homage in which Franck talks about the creation of one of her most famous images. On a side note: the text and the contact prints considered are also included in the (equally phenomenal) photography book Magnum Contact Sheets.